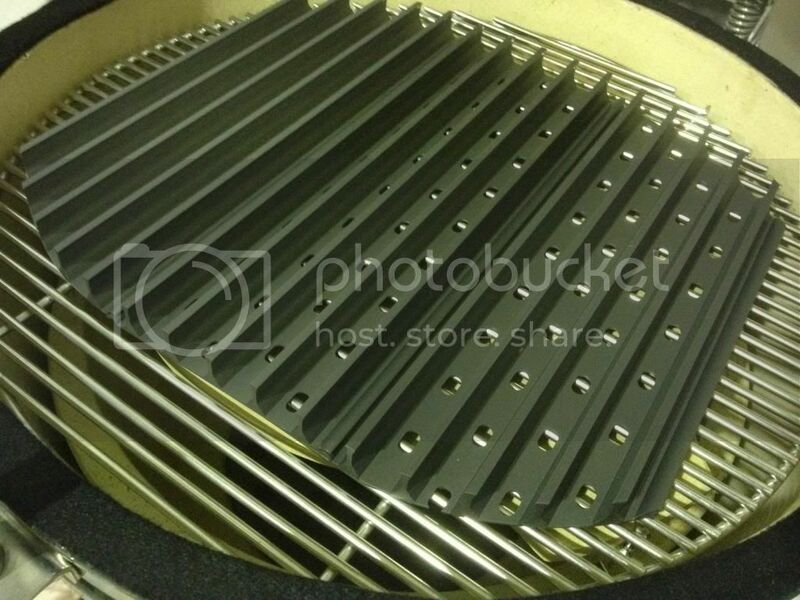 We've received some 18.5" Weber Kettle Grill Grate Kits (Grate Tool included) in our last order and would like to know what you think of this size. 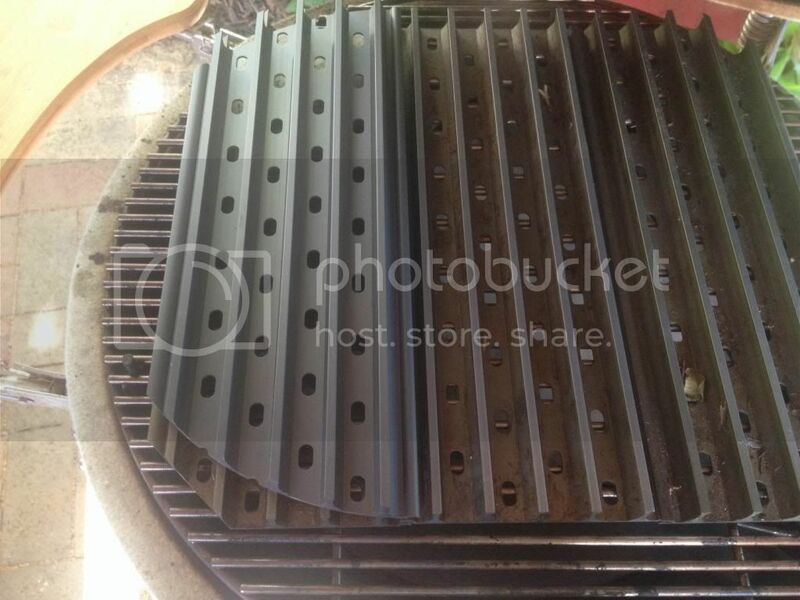 These will also fit any 18" Kamado grill (or any gasser aswell). These are also suitable to Weber q120 and GA's - using only the 2 outside panels. We're going to run a Special on these for you (for a limited time only - as we have limited sets of these) - $70 plus $12.95 delivery. 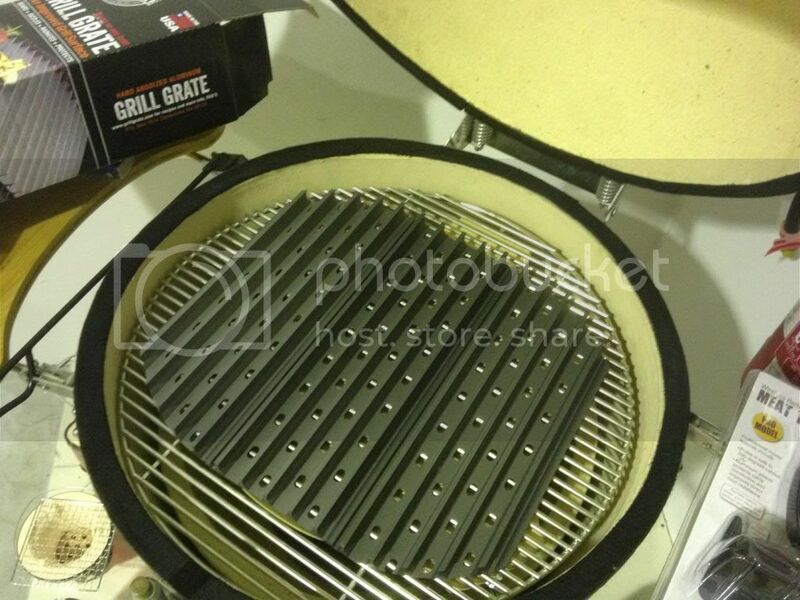 Here's some pics (please note, these are only an ever so slightly different 'cut' to the Kamado Grill Grate kit that we were selling for $90 - currently out of stock though). Just placed and order for one (and a pepper tray) - looking forward to trying them out. Ordered! Looking forward to giving them a go. BBQin' pisshead based in Brisbane, QLD. Arrived in the mail today - unfortunately my house is up for sale and the Weber is on hiatus during this time. Didn't reply when I got mine - really, really solid bit of kit. Still haven't used it, but the stubbie holder (with temp/cooking scales) and the fork/spatula that fits perfectly between the slats that comes with it was an unexpected bonus. hey champ, wondering if you have any of these left?